When it is time to put a new roof on your home or business, we pride ourself on providing the right product to suit your needs and budget while giving you the look you want. 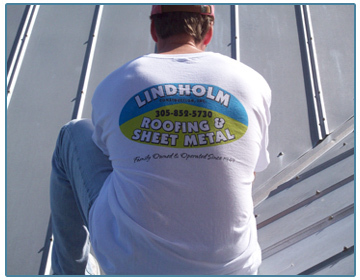 We will work with you to determine whether a minor repair will handle your problem or an entire new roof. We will be honest with you and not try to sell you something that you do not need. 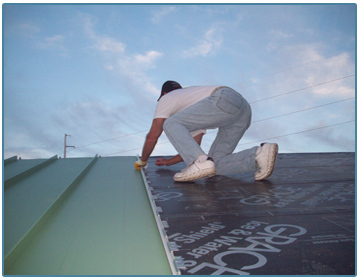 On sloped roofs, our technicians are trained to install all types of three tab or dimensional shingles along with cedar shakes and cedar shingles. We specialize in providing our customers with beautiful tile and metal roofs offered in a wide variety of styles and colors. On flat roofs our services include applying roof coatings to existing roofs in order to extend their serviceable life, to designing and building an entire new roof with a built up, modified, or single ply fully adhered and mechanically fastened system. Whether it is a flat roof or sloped roof, we use the best roofing manufactured products in the business, which carry the best warranties.